Thom Powell has dedicated his life to the teaching and study of science. But the Robert Gray Middle School science teacher is also drawn to the paranormal — and he doesn’t see that as a paradox. That’s the idea behind Powell’s latest book, “Edges of Science,” which was published in June by Willamette City Press in West Linn. 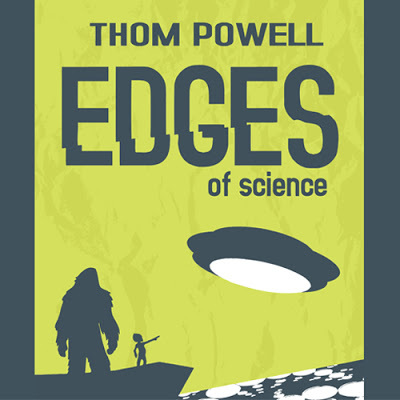 The book follows Powell’s past 20 years of paranormal research, including his study of Bigfoot, UFOs and crop circles. 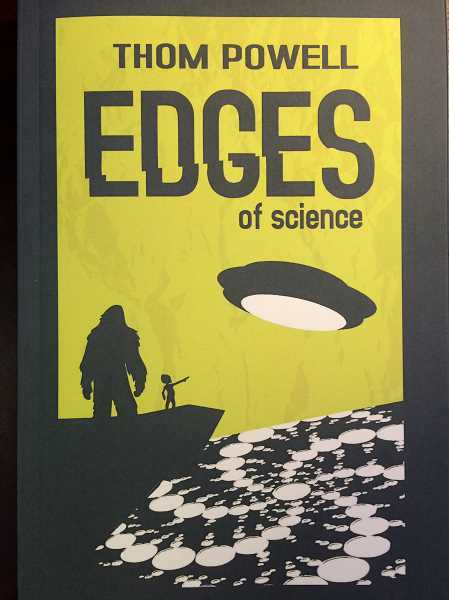 CONNECTION PHOTO: KELSEY O'HALLORAN - Thom Powell's book, 'Edges of Science,' recounts his past 20 years of paranormal research and searches for parallels between phemomena such as Bigfoot, UFOs and crop circles. Powell, who has taught at Robert Gray for 30 years and currently teaches eighth-grade Earth and space science, says he doesn’t incorporate his paranormal interests into many of his lessons. But he does teach a UFO lesson at the end of his astronomy unit, to hold students’ attention on the last day of school before winter break. His classroom is decorated with Bigfoot drawings and paraphernalia from his students, and he says his fascination with Sasquatch is often a subject of jokes with his students. Powell’s book combines his own research with testimonies he gathered from people who said they’d experienced a paranormal event, such as one anonymous Hillsdale woman who believed she had been abducted by aliens. 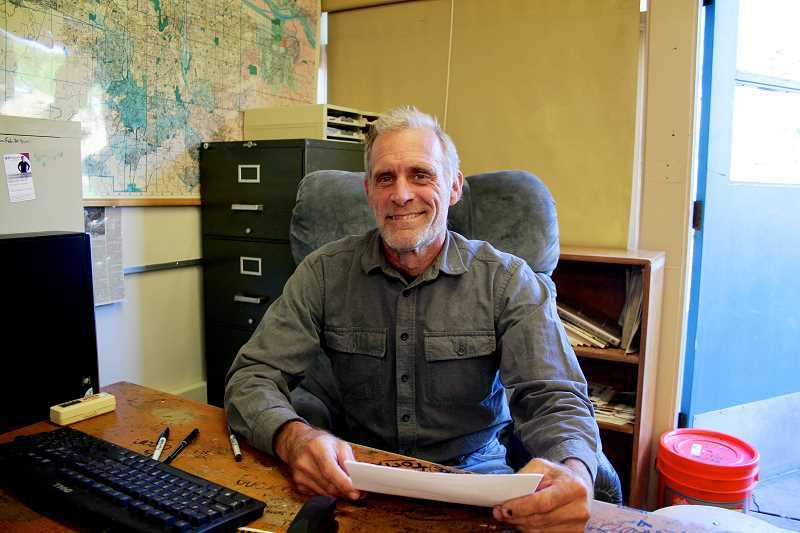 Powell in 2003 released his first book, “The Locals: A Contemporary Investigation of the Bigfoot/Sasquatch Phenomenon,” which focused specifically on his Bigfoot research. His latest book searches for connections between Bigfoot and all other paranormal phenomena. He says that after more than two decades studying the paranormal, he’s OK with people thinking that he’s crazy; he knows that many scientists’ ideas weren’t embraced during their lifetime, either. “If you’re going to venture into the frontier of science, you have to be prepared for not only scorn and derision, but also no fulfillment in your lifetime — but that’s OK,” he says. For now, researching and writing about the paranormal — and being known as the local Sasquatch expert — is fulfillment enough. Contact Kelsey O’Halloran at 503-636-1281 ext. 101 or kelseyo@pamplinmedia.com. I read Thoms book and enjoyed it very much. I also got to meet Thom at the Sasquatch Summit held in Lake quinnault Lodge at Ocean Shores. It was wonderful to meet you and I will be seeing you at Team Squatch USA conference in April this year. And I'm bringing two guitars.